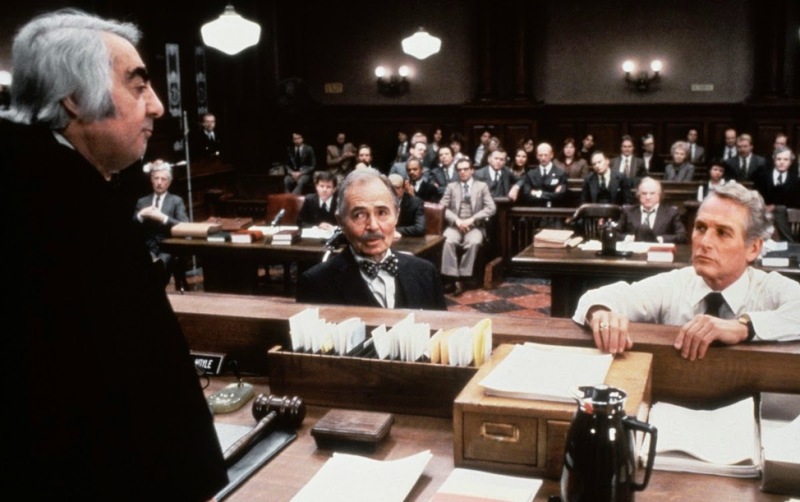 A character study hampered by a shaky story, The Verdict serves as a showcase for the brilliant talent of Paul Newman, but otherwise frustrates as a courtroom drama. In Boston, Frank Galvin (Newman) is a washed-up lawyer. A once brilliant career has now been reduced to chasing ambulances and gatecrashing funerals in a desperate search for clients. Frank is spending his days at the bar, drinking heavily and heading towards self-destruction. His mentor and one remaining friend Mickey Morrissey (Jack Warden) reminds Frank that he does have one more case coming to court, a medical malpractice suit that has languished for 18 months. During childbirth a botched anesthetic procedure left a woman on life support and in a vegetative state. Her family is eager to settle, as is the hospital, and a generous offer is made. But Frank visits the incapacitated victim, and something inside him stirs. Against all advice, he decides to take the case to court. The high-priced and high-powered defence team is led by the slick Ed Concannon (James Mason). Frank and Mickey scrape together their case in a matter of days, while Frank starts a relationship with Laura (Charlotte Rampling), a lonely woman he meets at the bar. With Judge Hoyle (Milo O'Shea) presiding over a jury trial, Frank builds a flimsy argument around a dubious expert witness in the form of Dr. Thompson (Joe Seneca), and doggedly pursues as additional witnesses nurses Maureen Rooney (Julie Bovasso) and Kaitlin Costello (Lindsay Crouse), who may provide key evidence to turn the argument in his favour. More about character than story, The Verdict is a measured study of redemption and one man's struggle to reclaim himself. Frank Galvin was once a respected partner in a law firm, but circumstances knocked him wildly off course. The film creates a tentative hero out of a lawyer who insists on standing for something, more out of a desperate need to save himself than any imperative to serve his client. 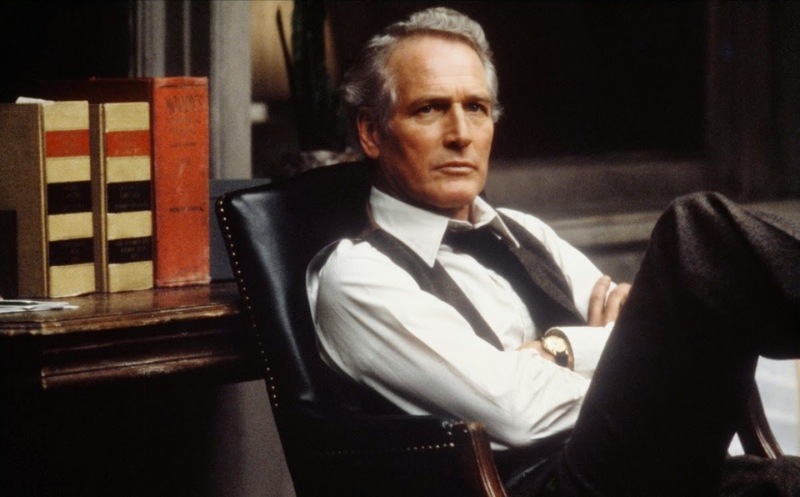 Paul Newman provides the one reason to watch and enjoy The Verdict. After a string of relatively mediocre performances dating back to the early 1970s, Newman simmers again as Frank Galvin. He brings to life a character aging early and creeping towards total moral bankruptcy and utter dependence on the bottle. And yet Newman finds the morsel of caring that Frank still carries, enough to reawaken his passion for a once proud career when he comes face to face with a great injustice. Just as much as Frank finds his case, Newman finds his film, and relaunches his dominant screen presence. The David Mamet script navigates Frank's rejuvenation with reasonable surety, and allows his self-doubt to remain close to the surface, poking his fragile confidence at regular intervals. But the rest of the story fails to surround the central character with a worthwhile narrative. The court room drama is tepid, Frank's final speech is not nearly as compelling as it pretends to be, and the trial's outcome aims at simplicity rather than intricacy. Laura is never convincing as a love interest, her role in Frank's re-engagement easily predictable. James Mason and Jack Warden are as sturdy as can be expected, but neither Ed Concannon nor Mickey Morrissey have any kind of a progressive arc. Director Sidney Lumet keeps Newman at the centre of almost every scene and finds good locations for Frank's office and his bar hangout. The film is indoor bound, and there are few flourishes to raise the drama above the average. The Verdict carries impressive star quality, but is guilty of providing inadequate support.